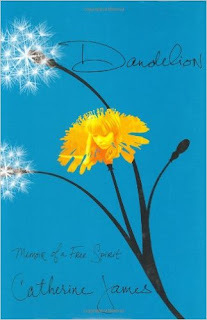 A little while back, I picked up a copy of Dandelion - Memoir of a Free Spirit. It was an impulse buy, as I had just read a couple titles by Pamela Des Barres and was in the mood for other reads from former rock and roll consorts. The book ended up languishing on the shelf for quite a while, but I finally cracked it open. The contents were much different than what I expected. Catherine James threw me for quite a loop. Raised in, shall we say, a less than ideal home life, James grew up fast and struck out on her own much younger than a young adult should have to. Despite circumstances that could have driven anyone to a life unlived, the lady Catherine's story took some interesting, and lucky, turns. In Dandelion we learn of her chance meeting with a young Bob Dylan after liberating herself from her unhappy home, her young love gone wrong with Denny Laine of The Moody Blues and Jackson Browne, her torrid, tantalizing flings with Jagger and Page, and countless other twists and turns. James tells her tale with beautiful honesty, leaving nothing unsaid and no stone unturned. What struck me more than anything was the positivity Catherine James exudes in her writing, a combination of determination and belief and a willingness to leave things in the hands of the stars. I expected one thing when I bought the book, and got something else entirely. This is no mere story about groupie exploits, it's a tale of a woman of substance who has lived one hell of a life. A powerful, engrossing read.